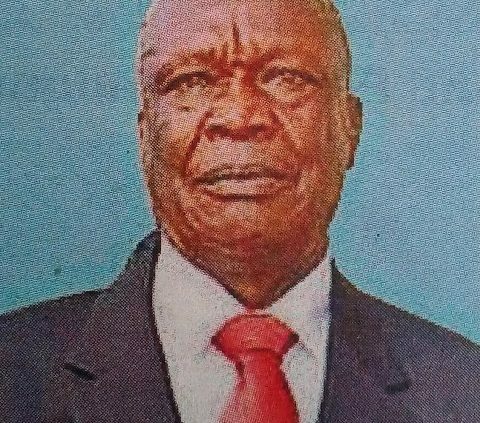 It is with humble acceptance that we announce the passing on of Mzee Meshack Ondara Nyangenya, a retired patriarch and senior teacher of Bomachoge Borabu, Boochi, Emesa Sub location and currently of Nyamira County, Borabu Constituency, Matutu settlement Scheme. Son of the late mzee Nyangenya Nyantuguta and the late Aroisa Okenyuri Nyangenya. Husband of the late Moraa Ondara, Anna Ondara and Lucy Ondara. Father of Nyabuto, Tom, Margret, Bwari, the late Mokua, Mose and Mary of USA, the late Omwenga, the late Hellen, the late Joseph, Jared, James, Monyangi of USA, Job Ondara, Lilian, Jerida and Samwel Nyanganya. Grandfather of lan, Stephen, Millicent, Valentine, Betty, Kennedy, Angela, Jonathan, Andrew, Jayden, Maxwell, Nivea, Leah, Evans, Naithan, Brian, Malia, Maya, Maria and Levi, Davin and Purity, among others. Brother of the late Lameck Makaye, the late Nyokoinani, Mokeira, Birundu, the late Mose, Dorcas Sarange and the late Evans Nyatwori, the late Ogechi, the late Ogoncho, Moturi, Onsare, Onsoti, Orenge among others. Uncle of Stephen Okindo, James Obiri USA, Lumumba Isaac, Mbaka, Mose, Oginga, Koina, Yunuke, Nyansiaboka, Peris, Annah, Ruth, Kerubo among others. Nephew of Mzee Otomu, Magara, the late Chiba, the late Omboga, the late Osito, the late Kayaga, the late Otwere, the late Mogaka, the late Ondara, the late Mobea, the late Chuma among others. Cousin of Former MP Machoge, Ferdinand Ondabu, Rakubi Chiba, Orenge Chuma, Nyangau, Nyatuori, Chris Otom, Dr.Ondeyo, Samuel Ondara, Nyarieko, the late Jacob Ondara, Omburo Chiba,Sylvester, Hezron Mokamba, Onywoki Chuma among others. Son-in-law of the late mzee Anyona Makambi, Mama Truphena Sigara, the late mzee Matayo, the late Mama Moraa, the late Daniel Obwoge and Mary Nyarangi. Brother-in-law of Isaac Anyeni, Johnson Nyachoka, Omare, Moenga, Boyani, Jacob Ratemo, Paul Ratemo, Mwango, Martha, Asha, Esther, Lucas and Nyabuto Obwoge. The main fundraising for burial and funeral expenses will be held on Wednesday 24th May 2019 at 680 Hotel as from 5pm. 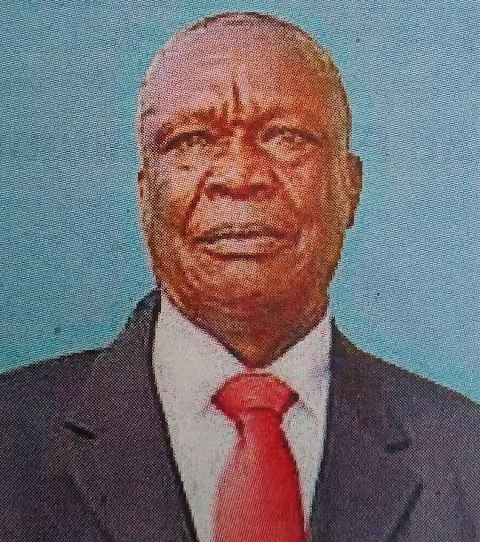 Funeral service and burial will be conducted at his Borabu Constituency, Nyamira County, Matutu settlement scheme on 3rd of May 2019. In God’s hands you peacefully rest, in our hearts you live forever.